For enhanced seating comfort when using a wheelchair look to the superior pressure distribution and positioning offered by Titanium cushion from Drive Medical. The Titanium's combination of resilient high density foam and a central dual chamber gel bladder allows the user to immerse into the cushion encouraging proper seating posture. Each Titanium cushion also features a central pommel for leg abduction. 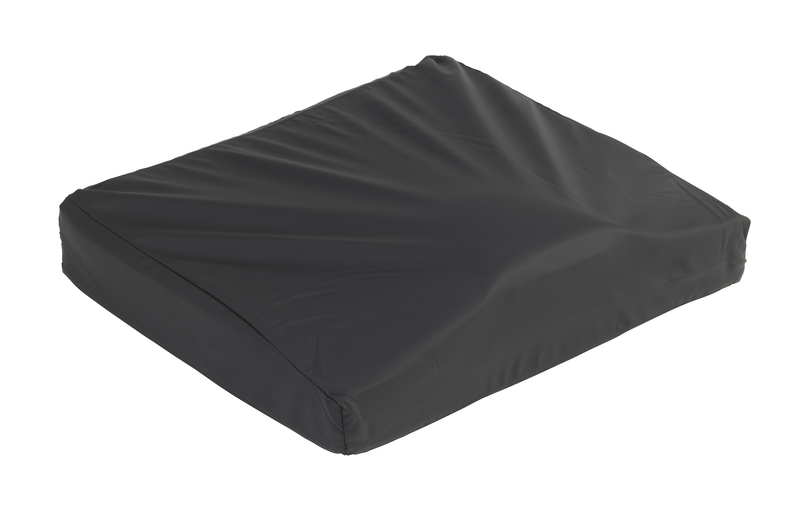 The cushion's low shear stretch cover is fluid resistant to protect sensitive skin. And the Titanium's non-skid bottom keeps the cushion firmly in place.